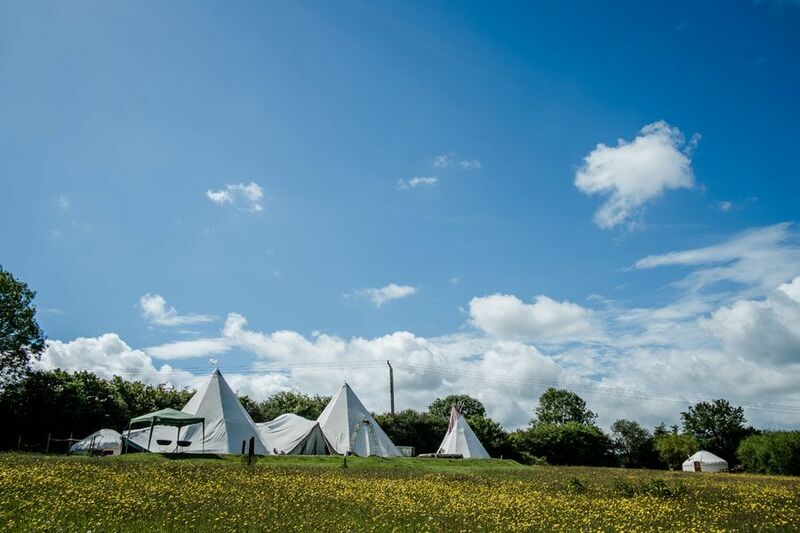 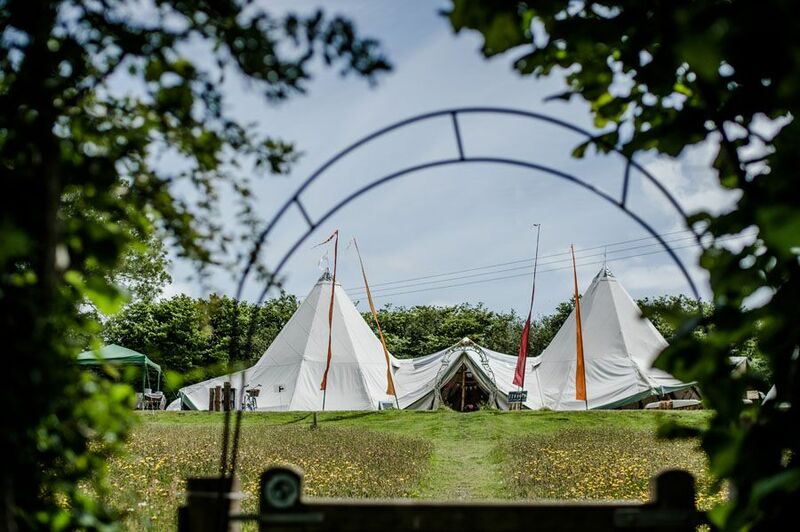 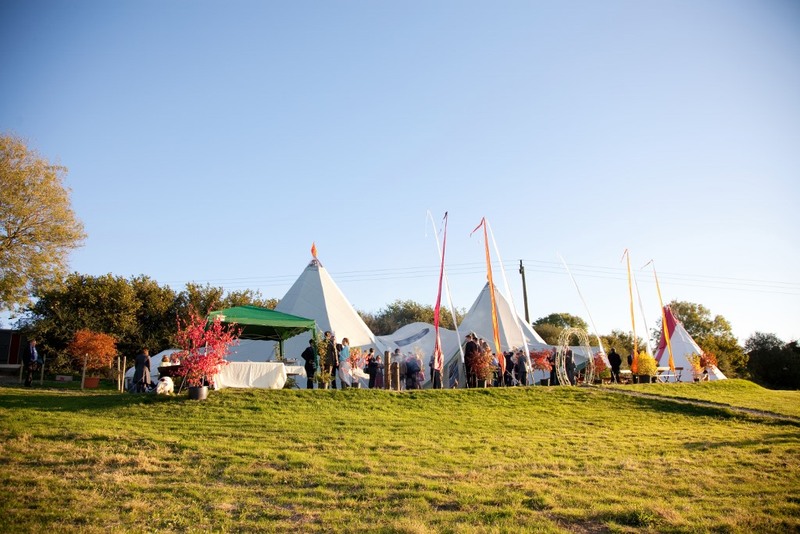 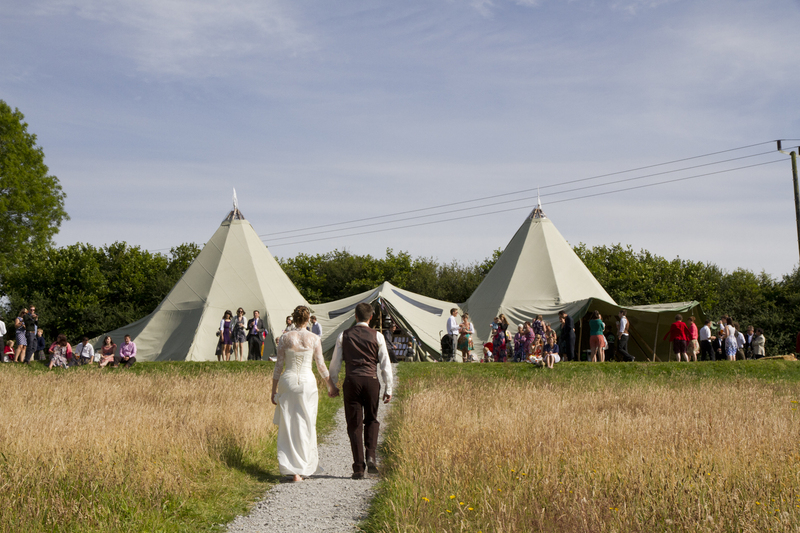 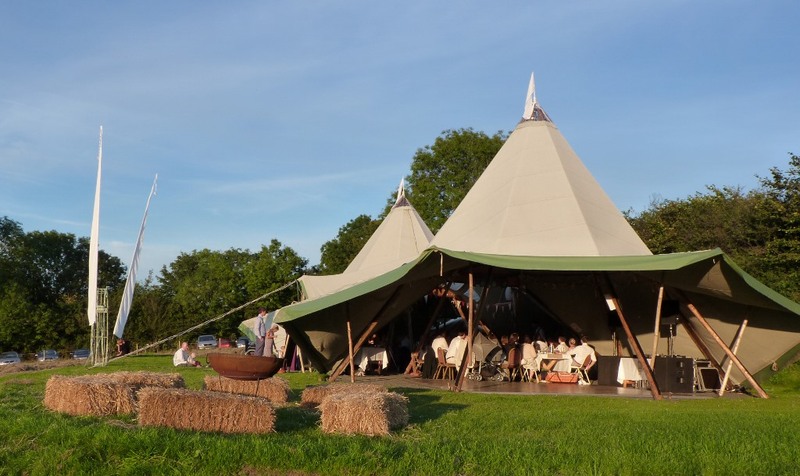 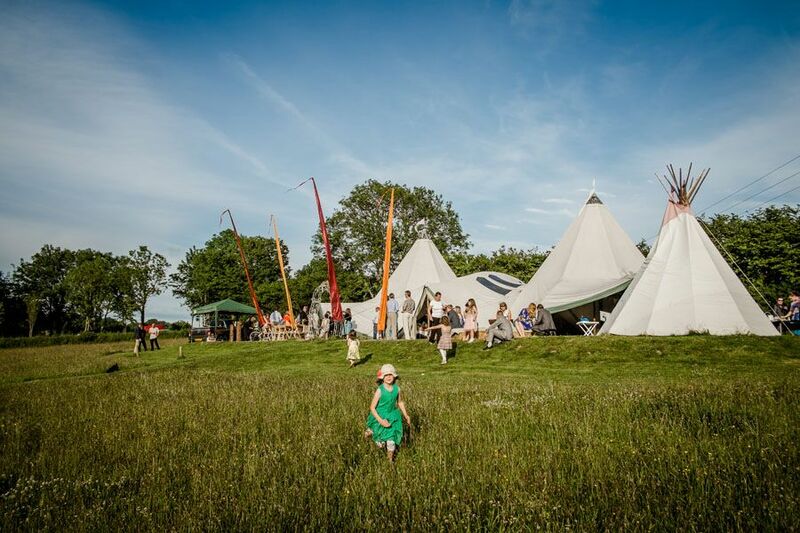 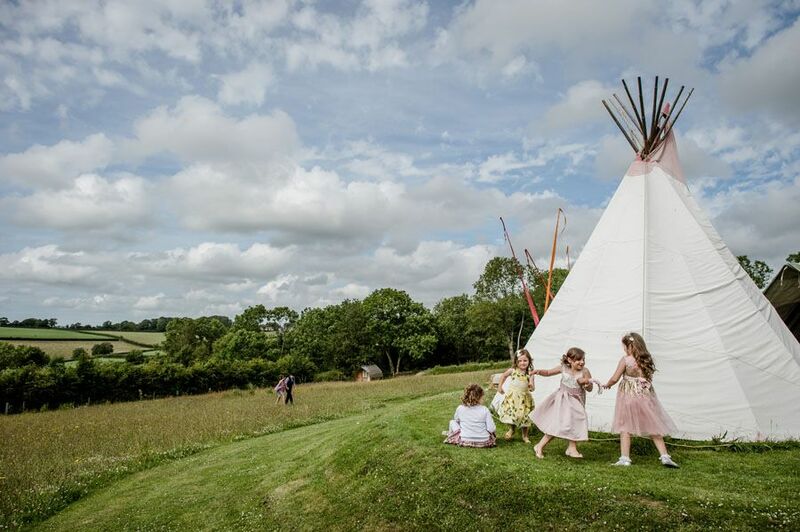 The Giant Tipi is at the top of a wild flower meadow with fantastic views over the valley and the sunsets to the west. 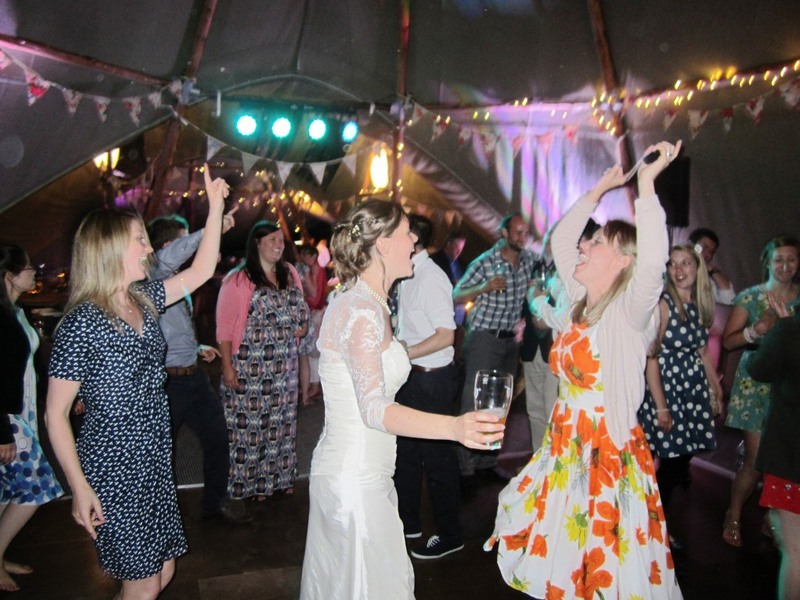 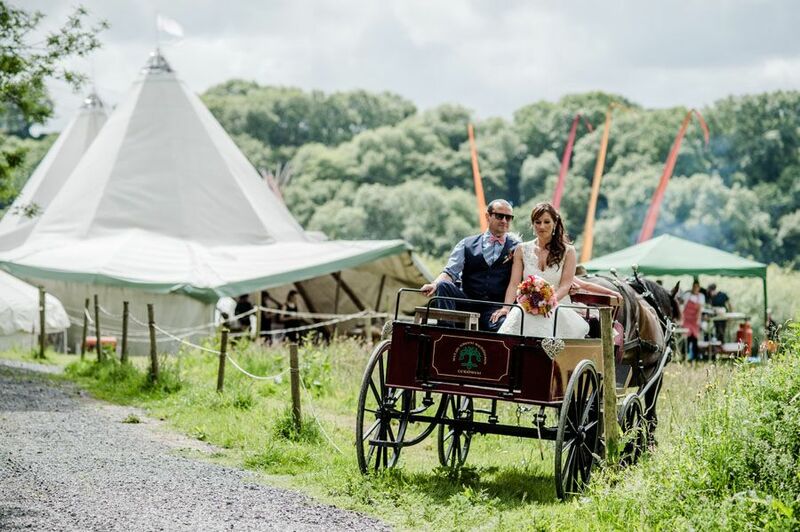 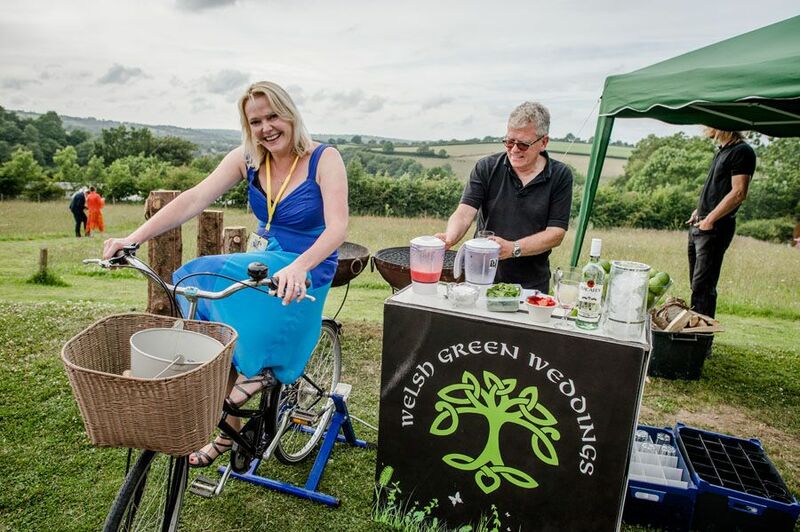 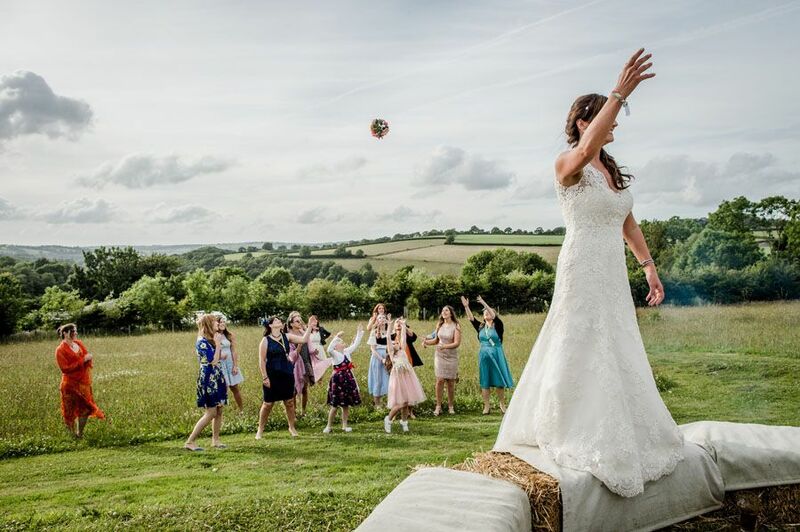 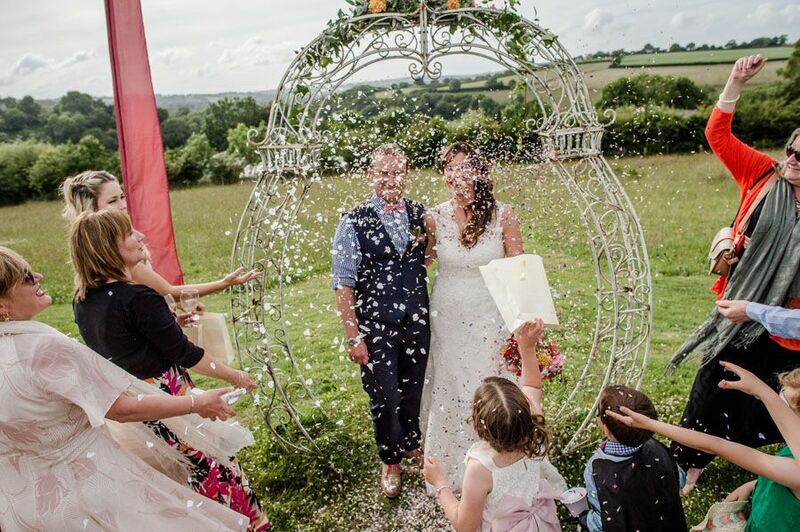 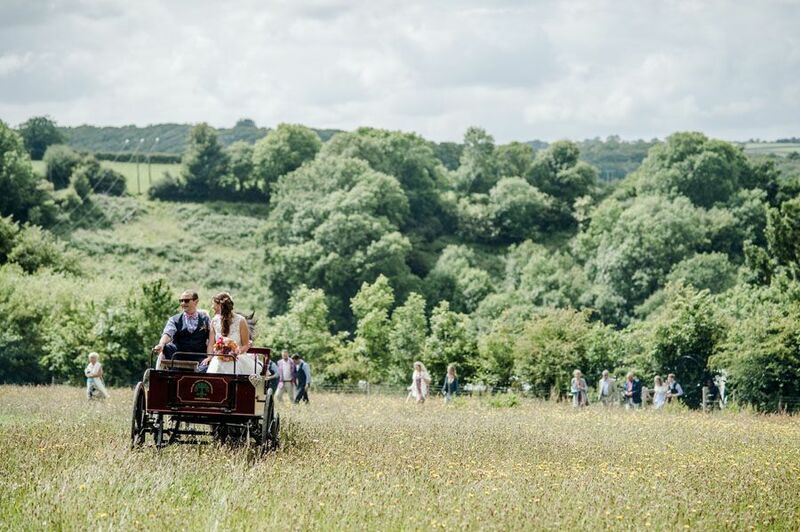 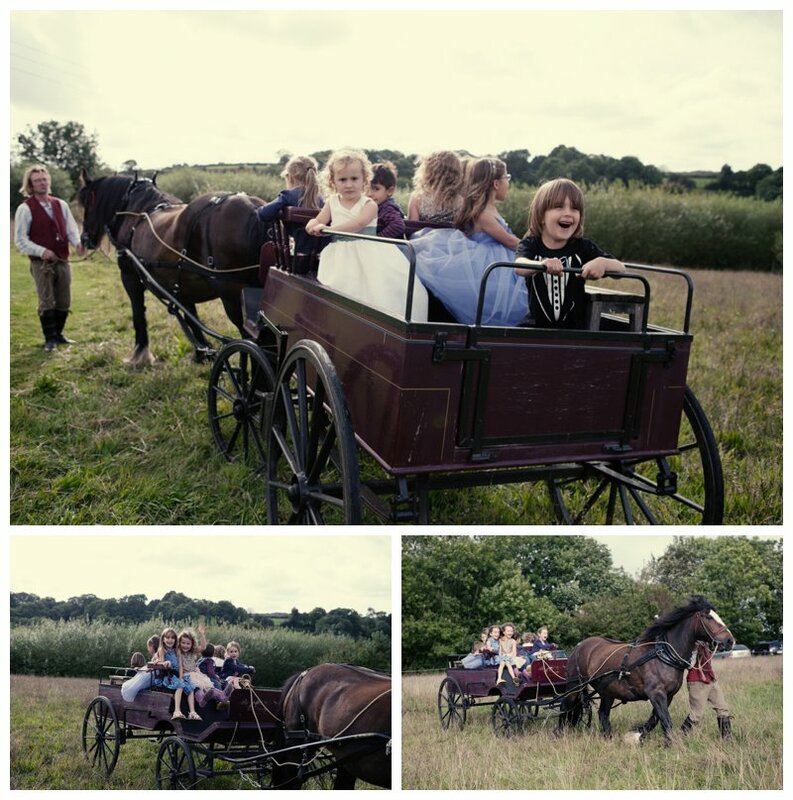 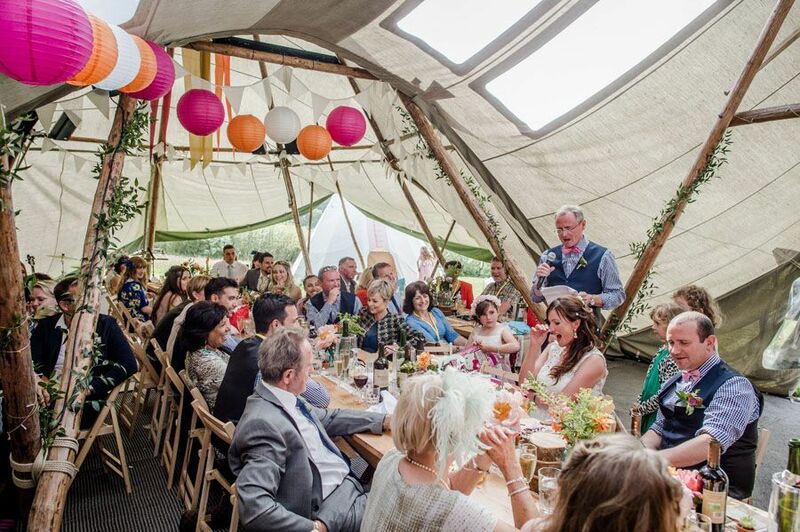 It can seat up to 144 people for your wedding reception, Commissioned by us and made to our specific requirements. 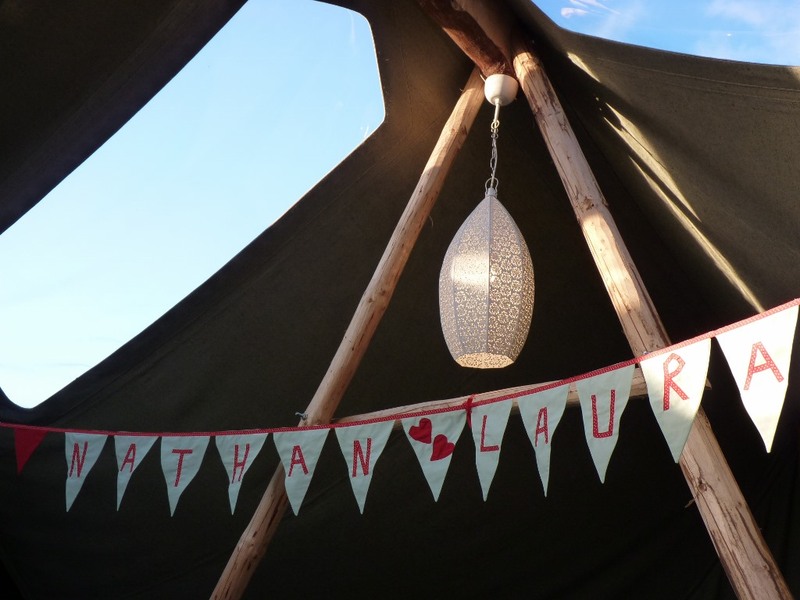 The fabric is a lovely soft sage green, 50% organic flax and 50% cotton canvas. 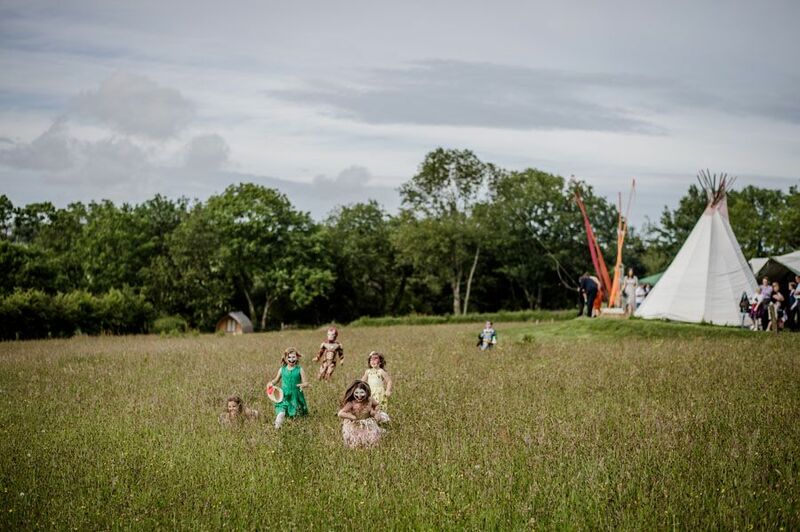 All the wooden poles selected by us from a slow growing local forest at the source of the Teifi river . 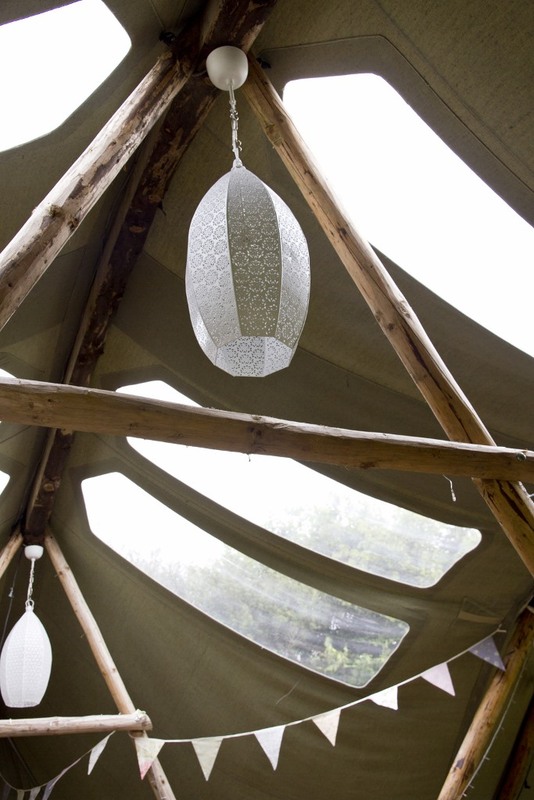 All metal fixings made in the village by the local blacksmith. 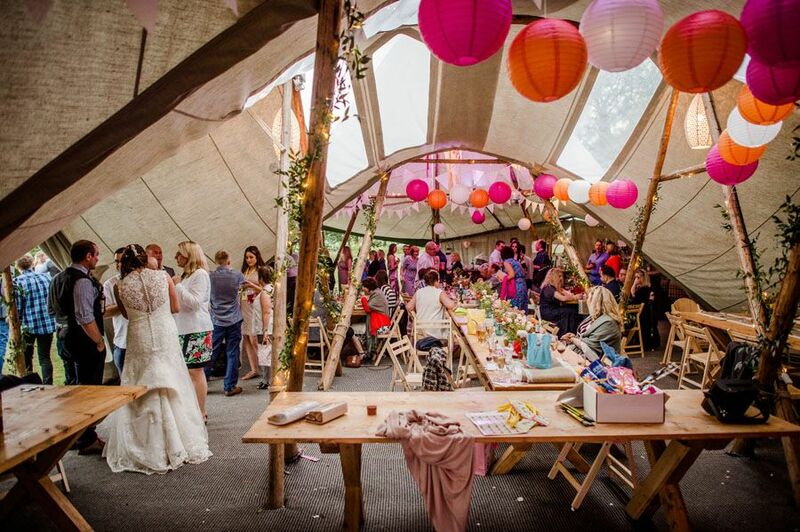 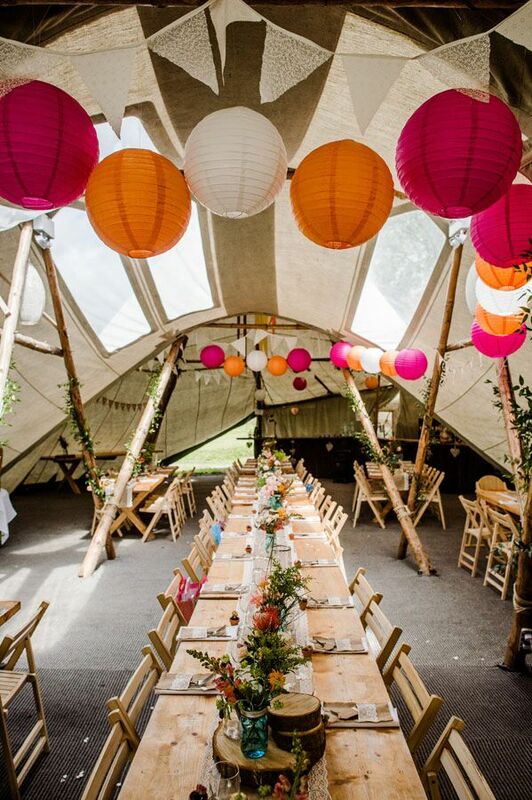 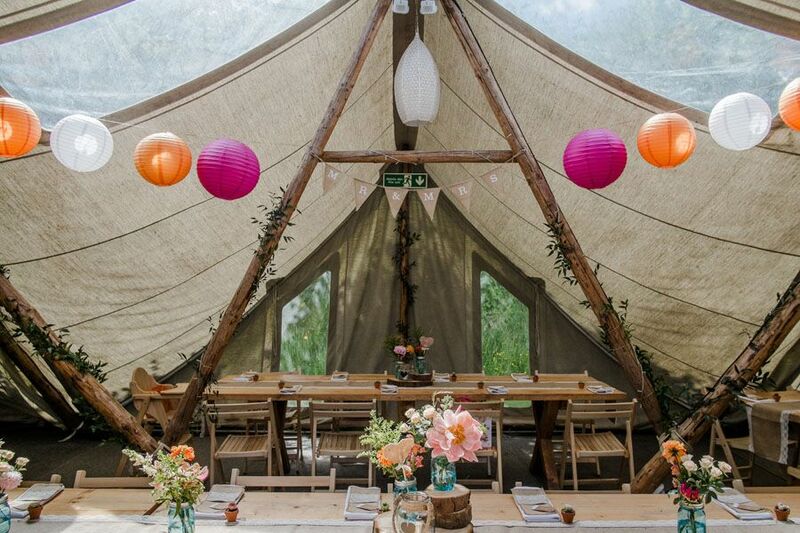 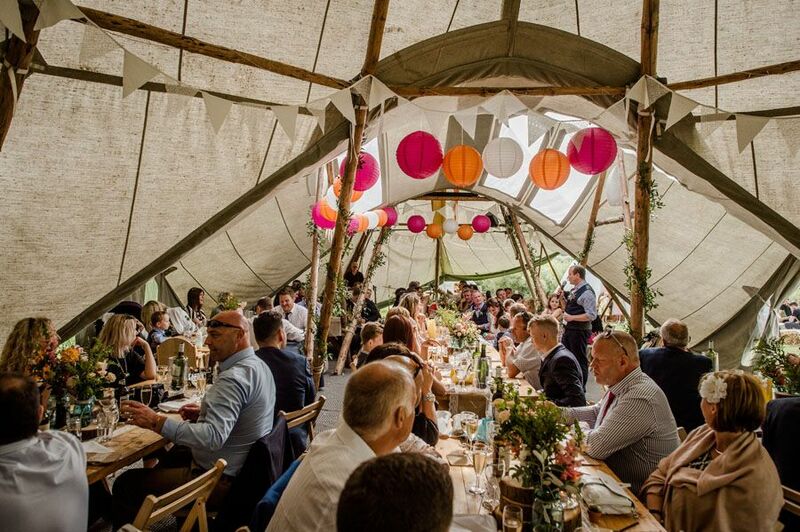 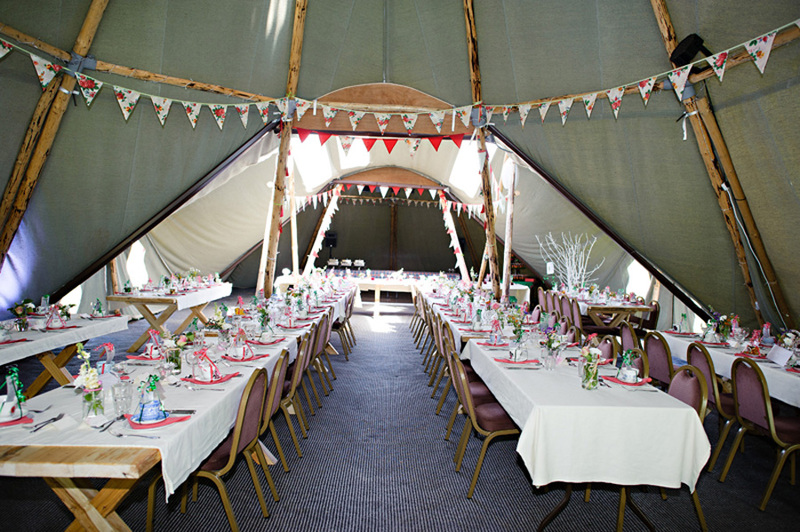 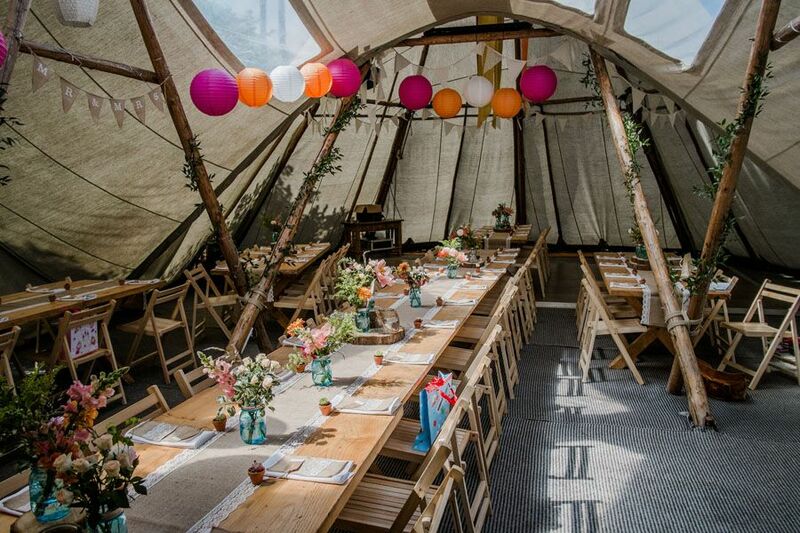 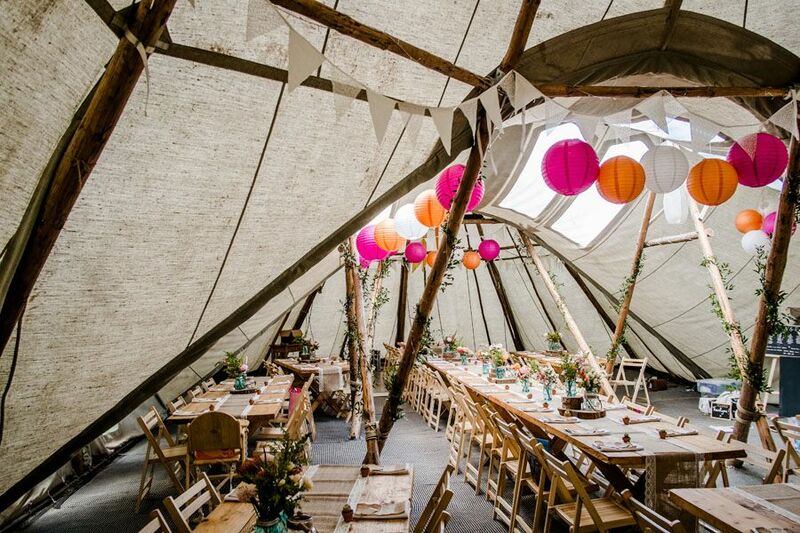 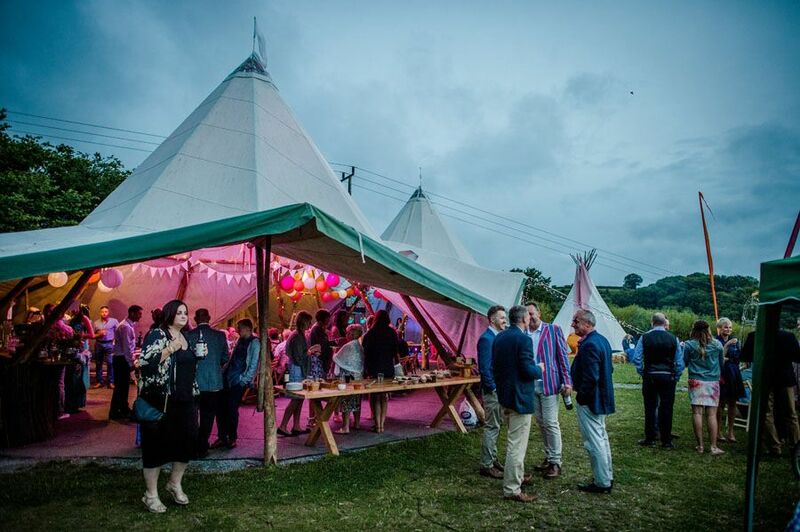 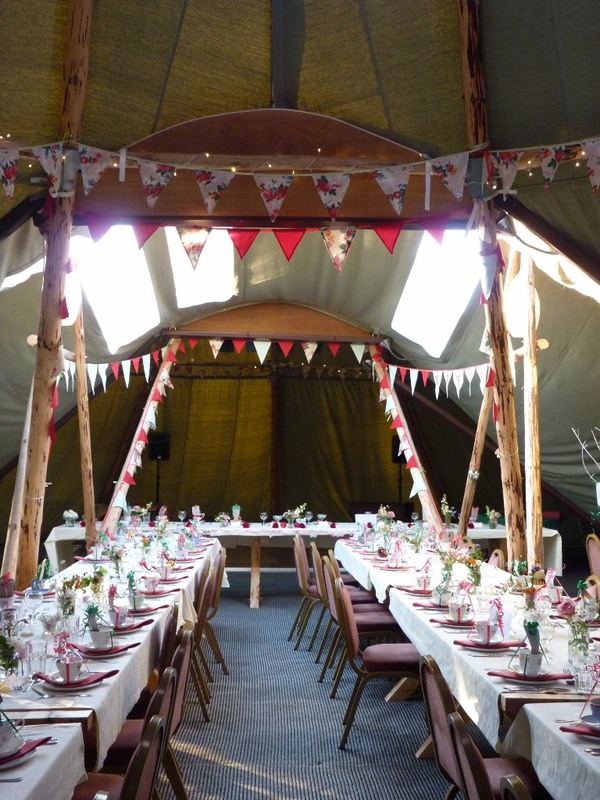 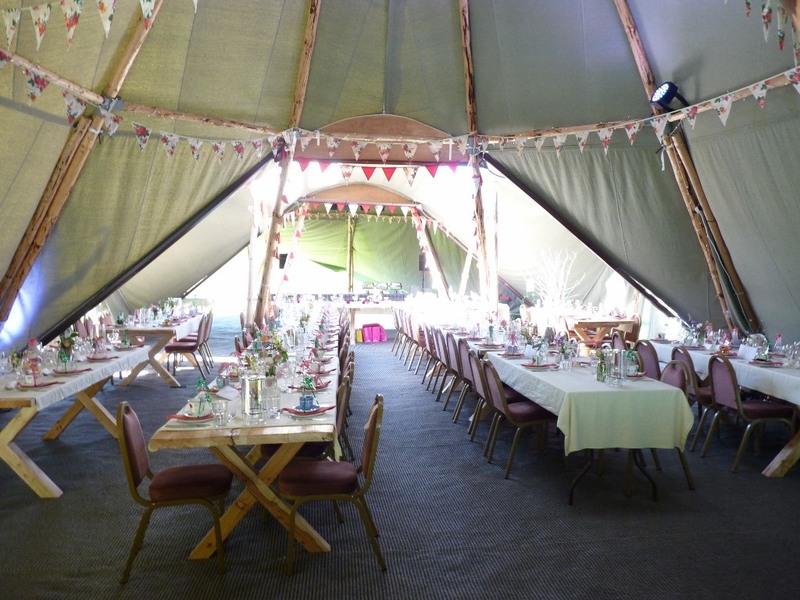 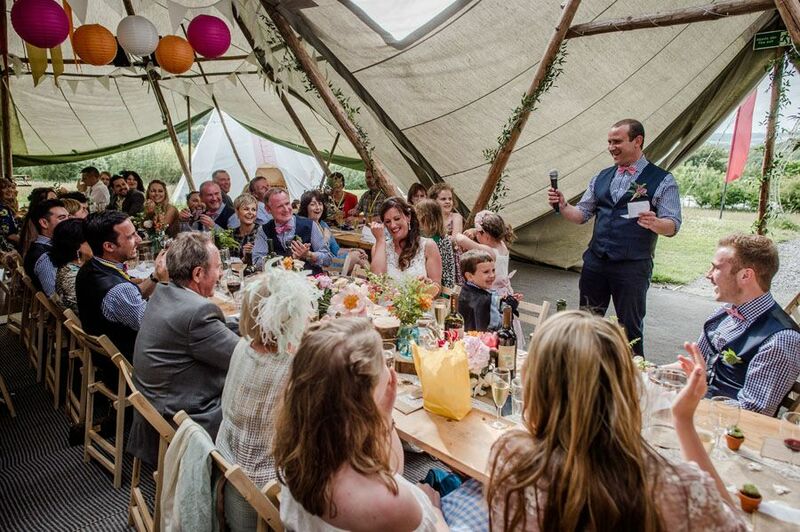 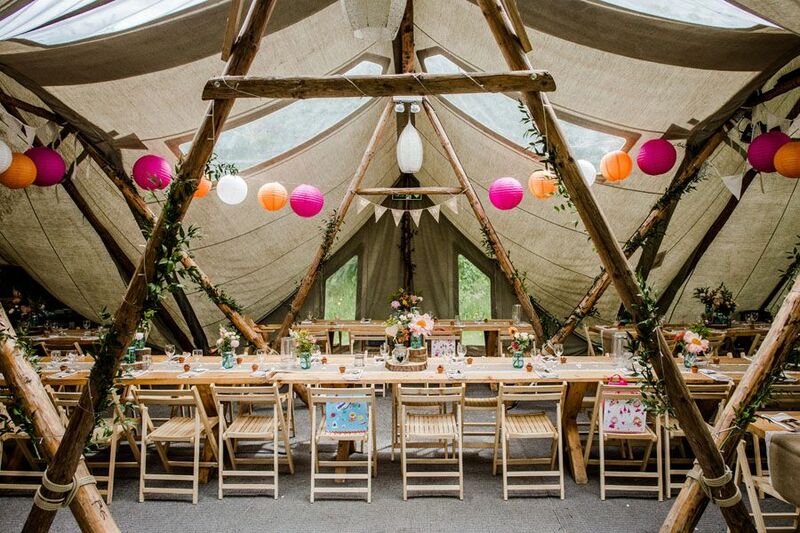 We can setup the Tipi with many different layouts using our large pine tables. 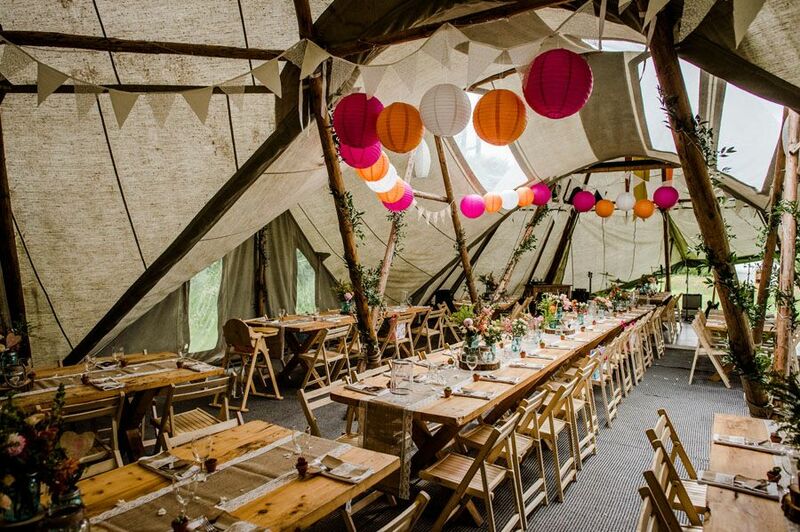 We are buying new chairs for next season and these will be fold up wooden chairs. 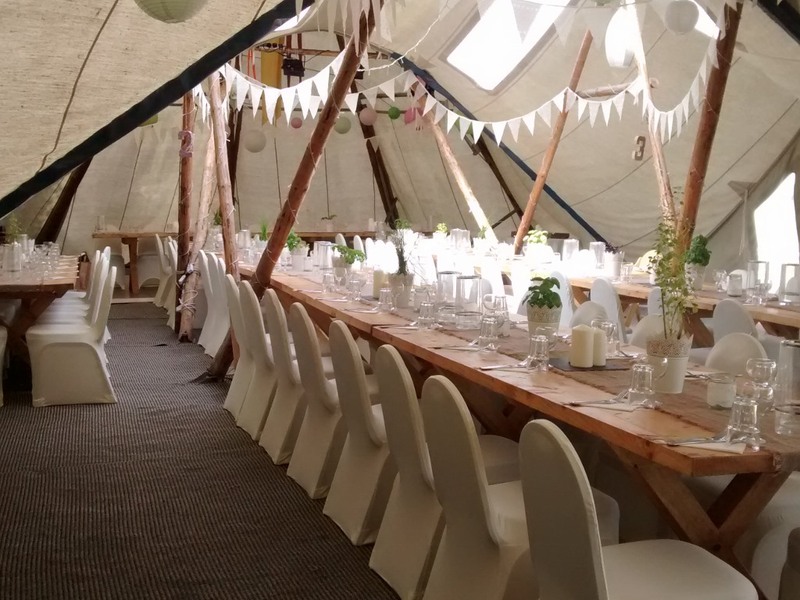 The sides of the Tipi can be hinged up when the weather or the wind allows so that the view can be seen from inside the Tipi. 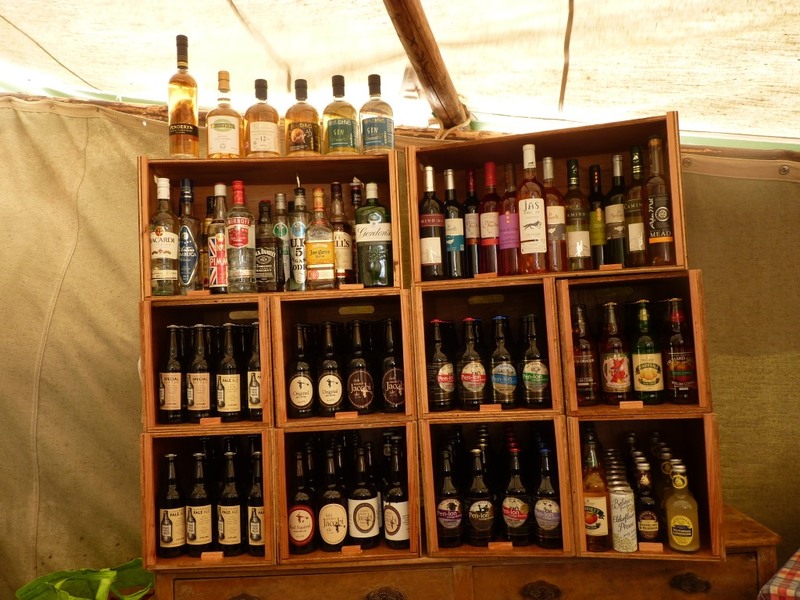 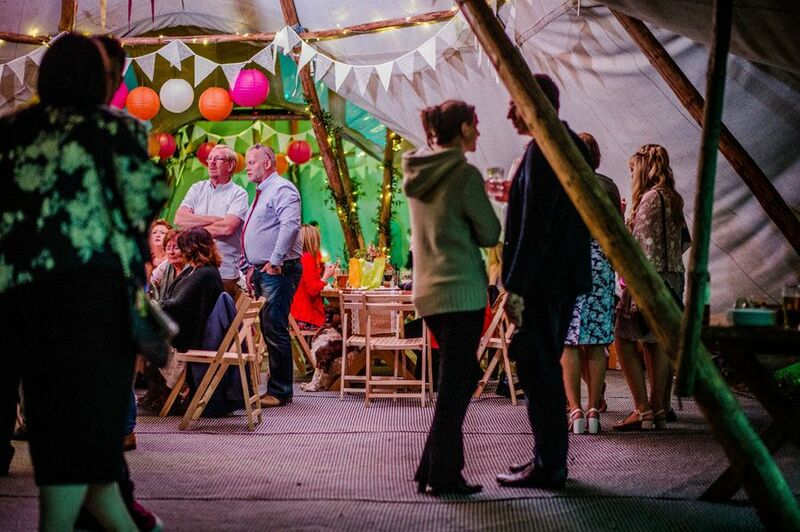 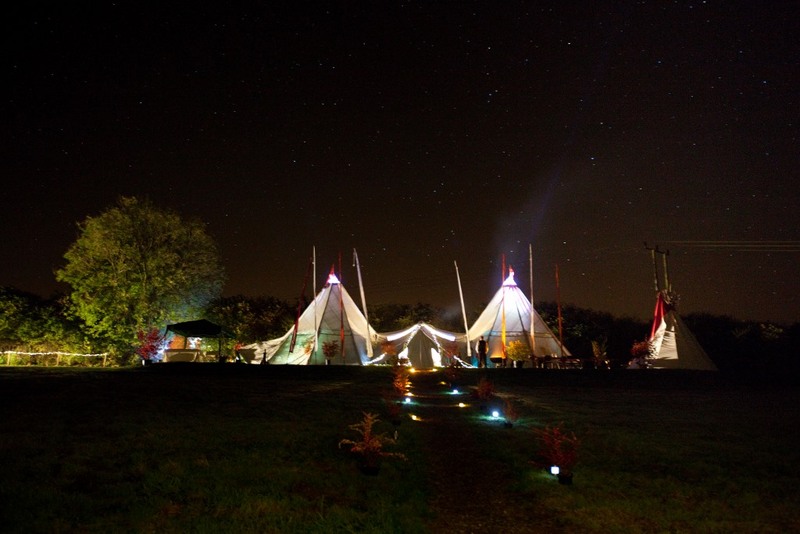 We have fairy lights, led spot lighting and the PA system ready set up in the Tipi along with the bar and the wash up yurt beside. 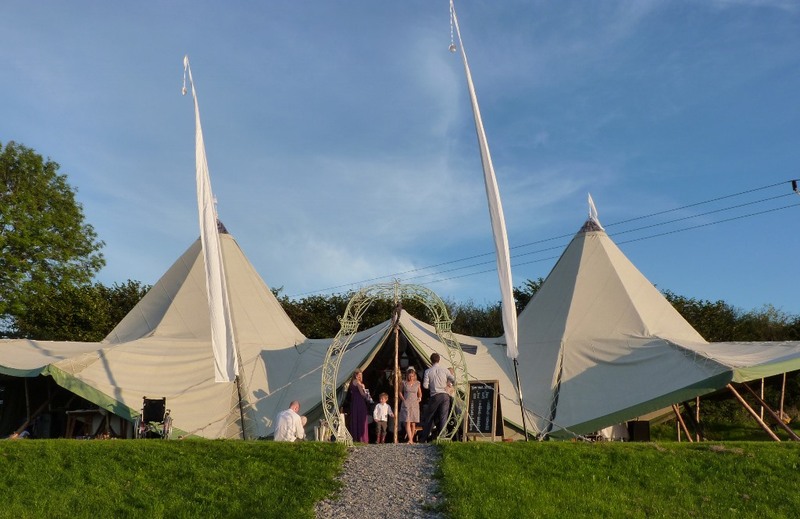 There is a small tipi beside that can be used as a small chill out space or this is sometimes used as a photo booth.